Elisabeth Suarez is currently the Coordinator of the Ph.D. in Counselor Education and Supervision (CES) program and Faculty Development at Walden University. She also provides leadership for the doctoral students as they complete their dissertation research. Dr. Suarez obtained her Ph.D. in CES from the University of Northern Colorado, with a concentration in children and adolescents. She also did a doctoral minor in Applied Statistics and Research Methods. Dr. Suarez has taught masters and doctoral students in counseling since 1997 in face-to-face, blended, and online formats. The courses she has taught most are introductory and multivariate statistics, research methods, multicultural counseling, supervision, teaching praxis, pre-practicum, practicum, and internship. 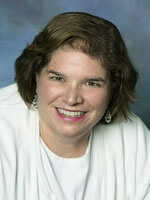 Her research interests are cross- cultural issues in counseling and supervision, andragogy, research methods, statistics, mentoring, and supervision techniques. Dr. Suarez regularly presents at national and regional counseling conferences, usually with some of her students. She is a member of American Counseling Association (ACA), Association of Counselor Educators and Supervisors (ACES), Association of Multicultural Counseling and Development (AMCD), and the Christian Association for Psychological Studies (CAPS). Suarez, E. C., Hull, C., Hartman, D. (2015). Addressing Spiritual Competencies in Supervision: Strategies for Supervisors. Counseling and Values. Suarez, E. C., Tan, A., Rehfuss, M., Parks-Savage, A. (2014). Nonsuicidal self-injury in an adolescent population in Singapore. Clinical Child Psychology and Psychiatry. Suarez, E. C., vonDresner, K., Underwood, L., Franklin, T. (2013). Providing counseling for transgendered inmates: A survey of correctional services. The International Journal of Behavioral Consultation and Therapy. Suarez, E. C., Davis, P., Crawford, N., Rehfuss, M. (2013). Reentry program impact on Missionary Kid depression, anxiety, and stress: A three-year study. Journal of Psychology and Theology. Suarez, E. C., Hallman, J., Yarhouse, M. (2018). Shame and Psychosocial Development in Religiously Affiliated Sexual Minority Women. Journal of Psychology and Theology. Suarez, E. C., LaDD, R. (2015). Which Statistical Test Should I Use? A Refresher in Quantitative Statistical Analysis for Counseling Researchers. Association for Counselor Education and Supervision (INFORM) Conference. Suarez, E. C., Smith Stuart, A. (2015). Multiracial Identity Development in the Classroom. National Association for Counselor Education and Supervision Conference. Suarez, E. C., Bland, C. (2013). Triadic Supervision: An Effective, Efficient, And Relational Model for Training Students. Christian Association for Psychological Studies Conference. Suarez, E., Gingrich, F., McNeil, D. (2017). The Role of Mental Health Professionals in Promoting Racial Reconciliation. Christian Association for Psychological Studies Conference. Suarez, E. C., Brogan, J., Blakely, C. (2018). Addressing Safety in Difficult Counseling Conversations. American Counseling Association Annual Conference. Suarez, E. C., Hartwig Moorhead, H., Colburn, A. (2013). Not Your Mama’s Classroom: Doctoral Programs in an Online World. Association for Counselor Education and Supervision Conference. Suarez, E. C., Ladd, R. (2013). Increasing Interconnectivity in the Online Classroom. Association for Counselor Education and Supervision Conference. Suarez, E. C., Ink, J. (2013). Incorporating Different Learning Styles Into Online College Statistics Courses. National Council of Teachers of Mathematics conference. Suarez, E. C., Brogan, J. (2013). Improving Pedagogy in Counselor Education. Association for Counselor Education and Supervision Conference. Dyben, A., Suarez, E., Brogan, J. (2017). Promoting Cultural Curiosity and Safety in Group Discussions. Christian Association for Psychological Studies Conference. Suarez, E. C., Brogan, J. (2017). Counselor Education Inclusive Pedagogical Practices. Christian Association for Psychological Studies Conference.